These are aimed at transforming West Colfax Avenue to “Denver’s Sustainable Main Street”. Through GreenFAX and related programs, we have reduced energy consumption and greenhouse emissions on the corridor and saved district businesses money, while also inspiring builders and the neighborhood organization to develop their own sustainability goals. The district achieved these results through Main Street energy efficiency improvements, infrastructure planning and the use of renewable energy in new building projects, including the BID’s current streetscape improvements. 337,748 lbs in reduced CO2/greenhouse gas emissions Equivalent to 32 cars off the road. Through a process of carefully targeting businesses and ensuring implementation follow-through with trusted contractors, WCBID has successfully demonstrated energy efficiency improvements and carbon emission reductions are possible to achieve in small businesses. Our sustainability objectives extend further to include promoting walkability and renewable energy. 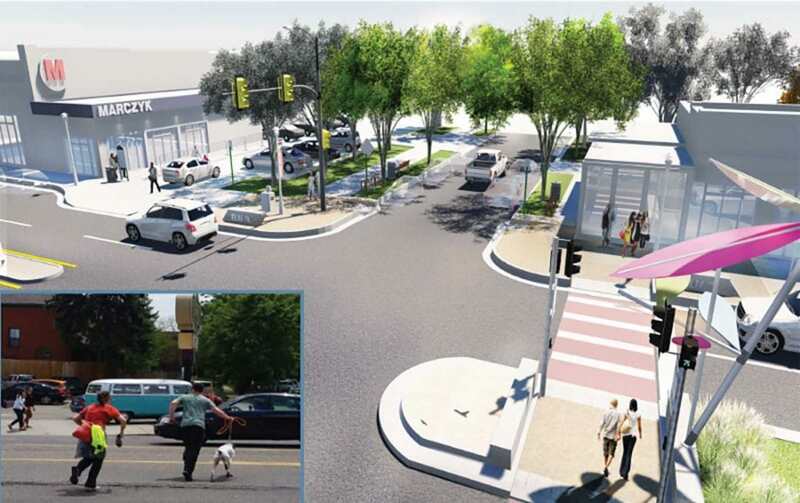 To transform West Colfax to a multi-modal transit corridor, WCBID successfully advocated that bond funding for improving West Colfax be directed to adding permanent on-street parking, and added artist-designed bus shelters and custom wayfinding signage. In 2017, we have successfully worked to promote significant new bond funding through enhanced crossings. These and other R-O-W improvements work to calm traffic for a more pedestrian- and transit-friendly environment. Renewable projects, from WCBID’s solar lighting to nearly $500,000 kWhs of solar panels in district buildings and mixed-use projects, add another vital sustainable element to the transformation occurring on West Colfax.